during the NASCAR Sprint Cup Series STP 500 at Martinsville Speedway on April 3, 2016 in Martinsville, Virginia. One of the tracks that has always managed to bedevil Kyle Busch has been the tight, paperclip-shaped oval of Martinsville Speedway. 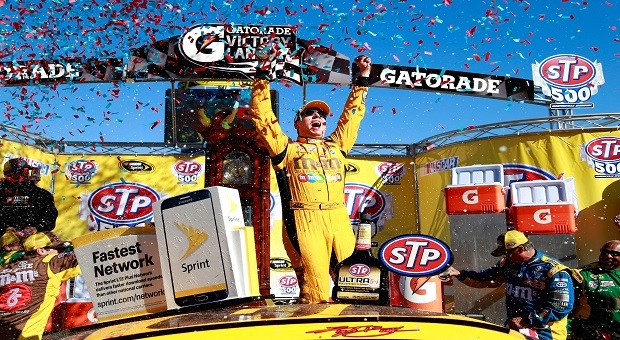 However, in a matter of just two days, he swept both the NASCAR Truck and Sprint Cup races at the .526-mile track, and now heads back home to North Carolina with a collection two Grandfather clocks from Martinsville after grabbing his first Sprint Cup win of the season. 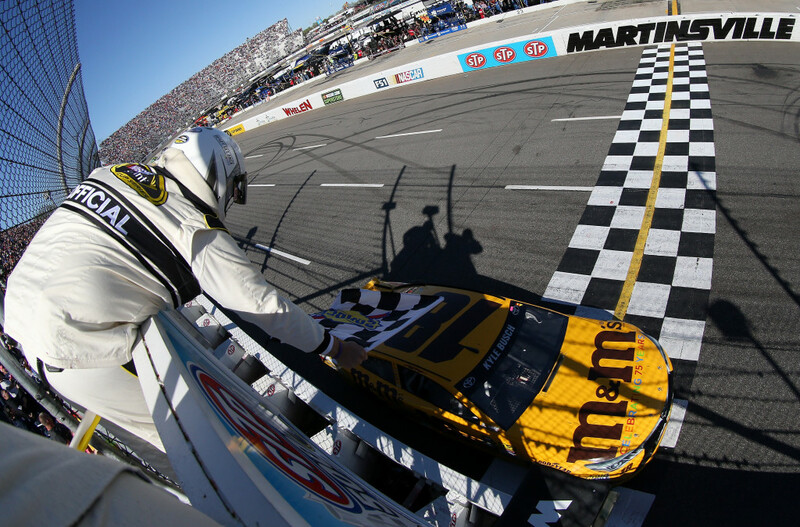 Busch dominated the race, leading 352 of the 500 laps earning his 35th Sprint Cup win, placing him squarely right in the middle of the Chase with his automatic acceptance for the win. 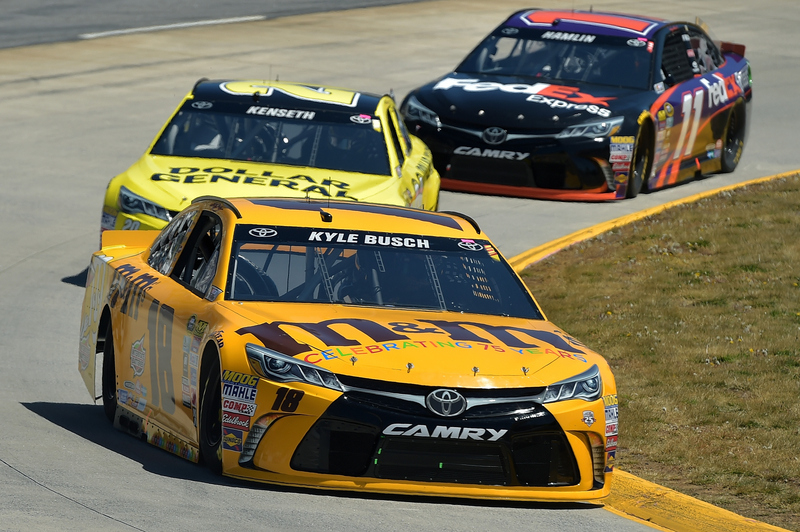 So, what did Busch learn on Sunday that he didn’t know before tangling with the short track this season? On the last restart on lap 489, it was Busch staying out for track position proving his worth by pulling away from first, Matt Kenseth and then later having to contend with A.J. Allmendinger’s assault on the lead. It was Allendinger’s first top five finish since he won at Watkins Glens in 2014. 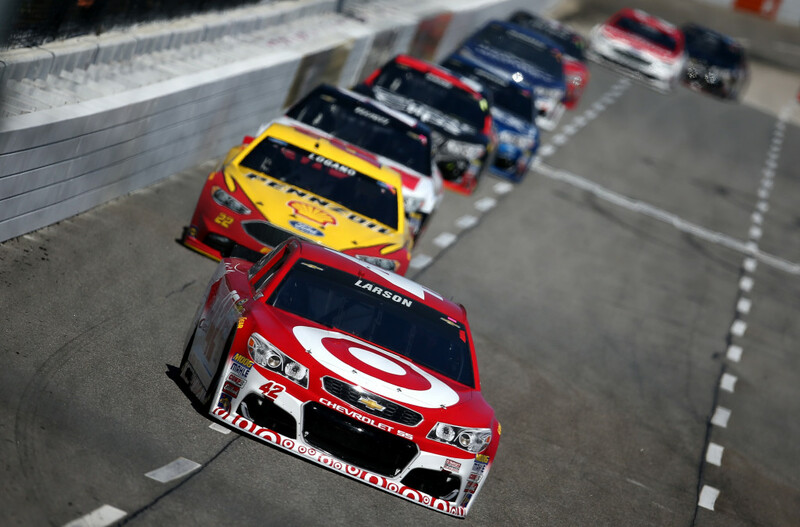 Finishing third was Kyle Larson, fourth, Austin Dillon and Brad Keselowski in fifth. 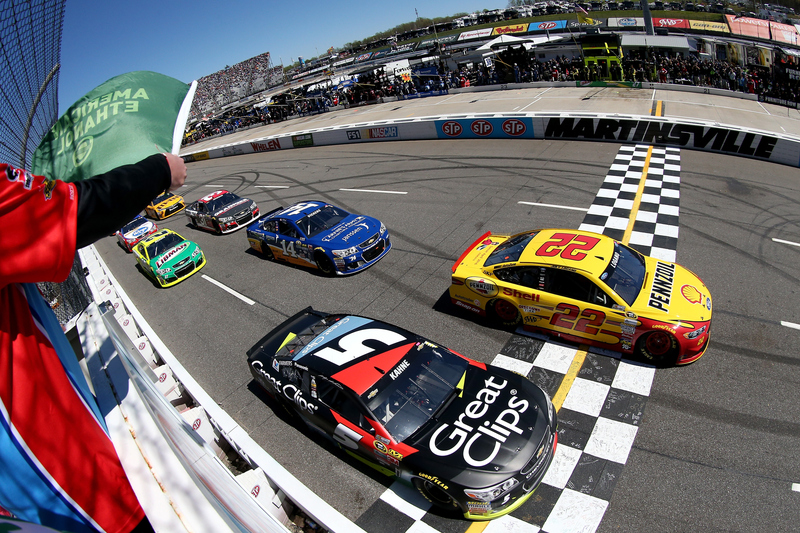 The average speed of the STP 500 was 80.088 miles per hour after eight caution flags for 51 laps. There were 11 lead changes among five drivers. Up next for the NASCAR Sprint Cup division is the Duck Commander 500 at the Texas Motor Speedway on Saturday, April 9, airing on FOX Network at 7:30 p.m.